Drobo has today announced the launch of a their new Drobo 5D and Mini: SSD storage solutions, which come equipped with both Thunderbolt and USB 3.0 connections for super fast data transfer. The new drives are based on Drobo’s BeyondRAID technology, which has been designed to allow you to mix and match your hard drives using different capacities and spin speeds. 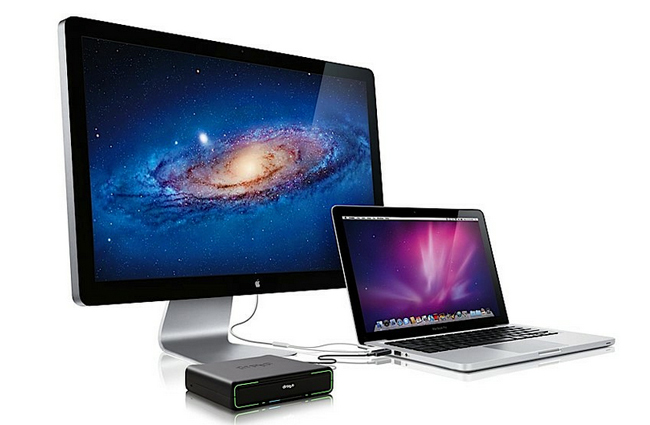 The Drobo drives will then automatically select the appropriate RAID level 1, 5, 6 to balance the capacity. 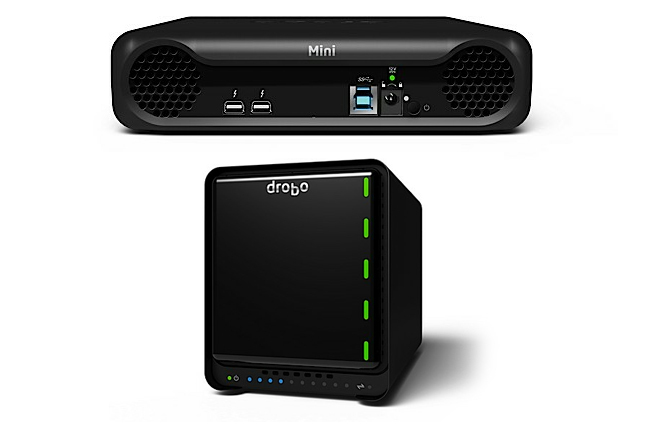 The smaller 4-bay Drobo Mini measures 18.7cm wide by 18cm deep by 4.5cm high, and weighs in at about 1,5kg with hard drives installed, on the rear its equipped with 2 x Thunderbolt ports and 1 x USB 3.0 port. When the drives arrive in August the Drobo 5-bay Drobo 5D is expected to cost around £650, and the smaller 4-bay Drobo Mini for £549.